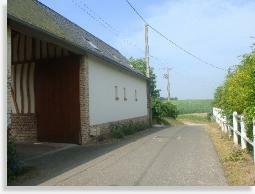 Situated at the outlet from Nibas, a little village in the Baie de Somme, les Gîtes du Pâtis border the fields. 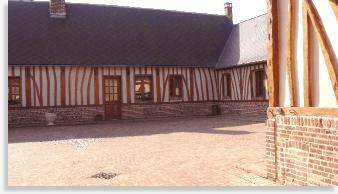 They consist of the main farm, the way it is traditionally built in Picardy, i.e. 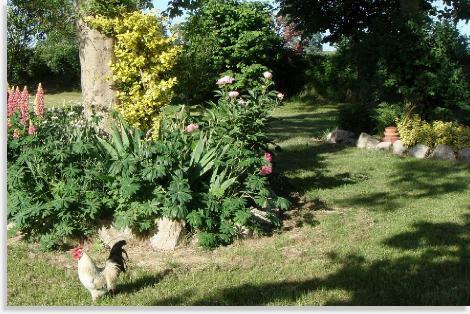 the dwelling and outbuildings completely surrounding a large paved yard, and beyond, a park of 5000 m2. 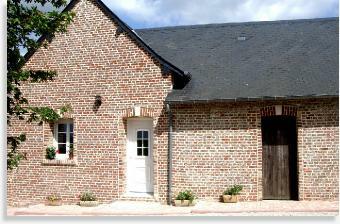 The accomodations (Les Gîtes) were arranged in the old barns totally renovated, and are equipped with all modern comforts. 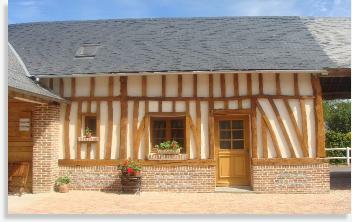 Nibas is situated at 12 kilometers from the sea, and at 3 km from a large commercial borough: Friville-Escarbotin. 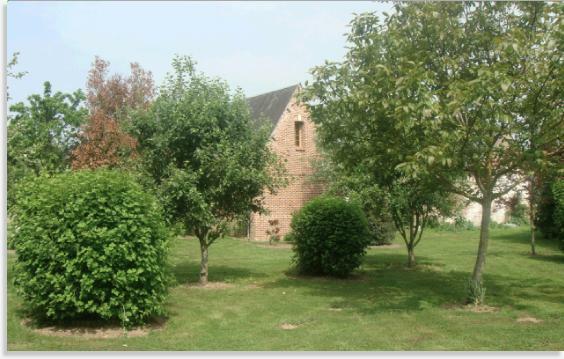 The climate, that of Baie de Somme, is characterized by temperatures more moderate than in the neighboring zones located toward the interior (in winter 1 to 2 degrees higher than in Amiens, Paris or Rouen, and, at the height of the summer 1 to 2 degrees less).